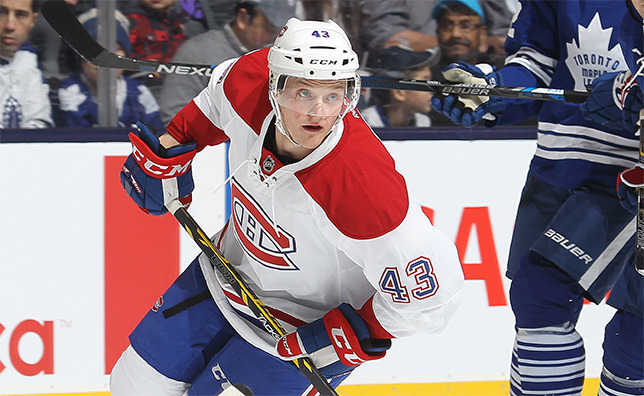 BROSSARD – The Canadiens announced on Friday that the club has agreed to terms on a two-year contract with Daniel Carr. Carr, who joined the Canadiens as a free-agent back in April 2014, made his NHL debut on December 5, 2015 against the Carolina Hurricanes where he lit the lamp on his first shift in the league. The 24-year-old winger notched five goals in 23 games with the Canadiens in 2015-16, while chipping in another three assists for a total of nine points. The Habs No. 43 began the season in the American Hockey League where he amassed 21 points in just 24 games with the St. John’s IceCaps.